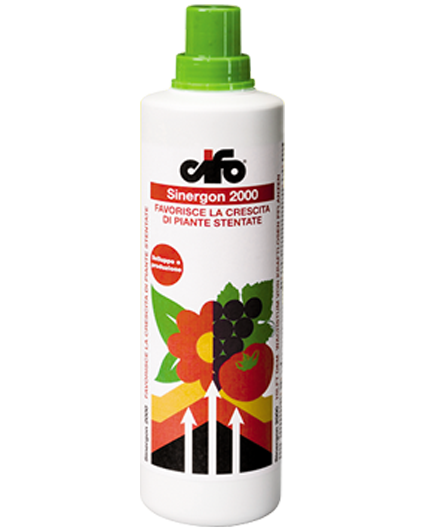 SINERGON 2000 is a specialty containing amino acids of vegetal origin, which derive from an enzymatic hydrolysis, and seaweed extracts (Macrocystis integrifolia) derived from a mechanical process. In this way, all active components, remain in their natural form and biologically stimulate the vegetal metabolism. In particular, Sinergon 2000 promotes the synthesis of proteins and natural growth substances by supplying tryptophan, the precursor of auxin biosynthesis. Do you want to become a Cifo partner?